I'm Justine Wong, a full-time freelance illustrator based in Toronto and Tokyo. I am also the creator of the project '21 Days in Japan: An Illustrative Study on Japanese Cuisine', consisting of 100 paintings of my meals throughout Japan. When I am not illustrating, I am a dedicated member of Lunchroom, a creative collective and co-working space based in Toronto where we practice and learn new ways to rebuild the way we cook and eat together. I am also an avid gardener and beachcomber. Justine is a graduate of OCAD University in Toronto, but in a few short years has become recognized for her compelling illustrative life in Japan. 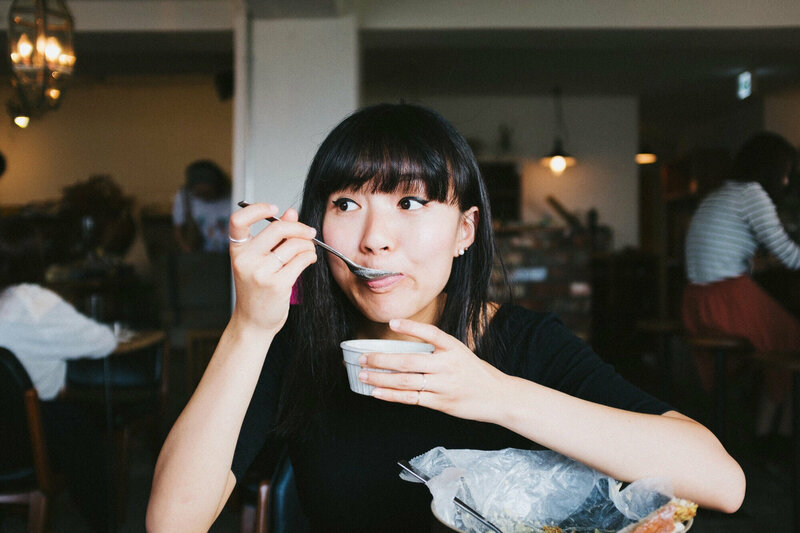 She is best known for her successful Kickstarter project “21 Days in Japan”, in which she created one hundred paintings of Japanese cuisine she discovered while traveling the country. Justine has shown at exhibitions and fairs in Canada and internationally, and her work has also appeared in publications such as The New York Times, Monocle, Lucky Peach, The Walrus, and The Cleaver Quarterly. Justine’s recent illustration and painting work reflect the evolution of the artist’s relationship with two “foundations”: Japan and Toronto. As each place holds a mirror to the other, a body of work and visual language is created of rocks and shells that balance upon each other to form delicate interconnected landscapes. In her latest solo exhibition No Hard Feelings, the artist draws on her experience of Japan - exploring the loneliness of rebuilding of a new life, the discovery of a new voice, and the fragile balance of one’s emotions that foster landscapes greater than oneself.